Bushfire safety is a crucial consideration homeowners that live in bushfire-prone areas. And with the vast majority of Victoria classified as bushfire-prone, this is something many home and business owners in Melbourne’s fringes will need to consider. If you live in fringe areas of Melbourne such as Frankston, you’ll want to do everything you can to reduce your risk of bushfire. And believe it or not, metal roofing installation and reroofing might be able to help. Find out more from our Frankston roofing team. When building in a bushfire-prone area, you can’t just use the same materials and plans you would when building elsewhere – special materials and techniques are needed. And that extends to the materials you choose for your roof, too. That’s because during bushfires, many houses catch alight not because of direct contact with fire, but due to sparks, embers and flammable debris. Think of these as tiny, airborne matches. Since they’re so small, they often find themselves slipping into gaps in your roof. In addition to COLORBOND’s specially-engineered bushfire-resistance, metal roofing also has in-built protection against bushfires. This is thanks to the fact that it offers fewer points of entry into your roof for embers and sparks. Think about tiles – each individual tile has a slight gap underneath it, which might be all that’s needed for a stray spark to get in and set your house ablaze. By contrast, metal roofing is installed in large sheets, eliminating the majority of potential entry points. Not to mention, metal roofing is also more resistant to flammable moss and plant growth – when was the last time you saw a metal roof covered in green growth? Both of these attributes make metal roofing a superior choice for fire-prone areas right off the bat. As part of metal roofing installation, your Frankston roofing installation expert will also help you choose and install roof sarking. This is an additional layer installed directly underneath your roof. In addition to its primary job as an insulator, it can also be used to reduce noise, protect you from moisture buildup and – you guessed it – protect you from fires. It does this by forming another physical barrier in your roof. On the off-chance that any embers, sparks and flammable debris slip through your sealed roof, they’ll be stopped by the fire-resistant sarking. Buildings in bushfire-prone areas are subject to particularly strict rules and building standards. Do I need to re-roof my home to meet these new standards? While older homes in bushfire-prone areas aren’t compelled to renovate to meet these new standards, it’s highly recommended. Not only is it considerably safer, but most insurance companies don’t take very kindly to properties in bushfire-prone areas that aren’t compliant with the current bushfire standards. And if you live in a suburb that’s close to a bushfire-prone area such as Frankston, that can mean re-roofing. 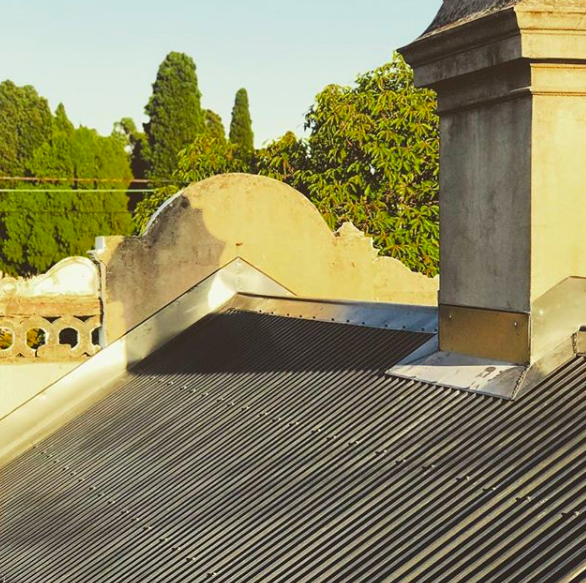 COLORBOND metal roofing is designed for use in properties in areas rated at BAL-FZ. No matter your risk of fire, a COLORBOND metal roof can help keep your home safe when bushfire season starts. It can last you up to 50 years! Located on Melbourne’s fringes, Frankston is extremely close to bushfire-prone areas. As such, fire is a real threat that homeowners in the area need to consider. So it’s no wonder that we get so many calls about metal roofing in Frankston. Our team of experts specialise in roof installation and re-roofing services. 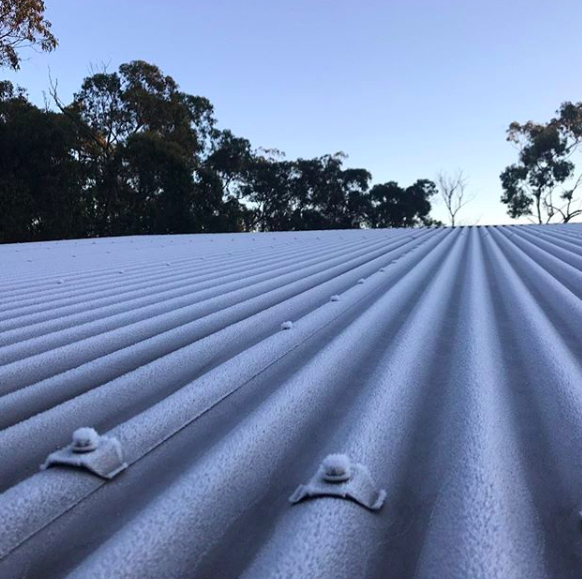 Whether you’re building a new home or want to improve the safety of an older one, if it involves metal roofing in Frankston, Watermaster Roofing can help. Give our team of roofing experts a call today on 1300 156 650, or click here to touch base. Unsure if you live in a bushfire-prone area? Click here to explore the Victorian Government’s map.